Intensive Cutting with Julian Perlingiero!! You will gain a deeper understanding of the theory of the foundation and how to use it in its most modern comprehensible manner with a focus on the art of suitability, how to choose the look, classic cutting foundation, disconnection and undercutting. Julian began his hairdressing career in Philadelphia. In 1990 he joined the Vidal Sassoon organization in New York. 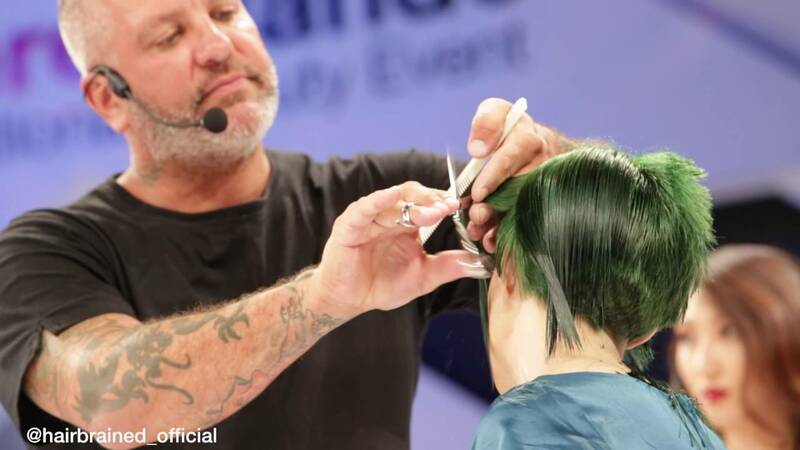 After completing the very intensive Sassoon training program he became a stylist at the flagship 5th Avenue Salon. In the salon Julian maintained his involvement in education - doing seminars, trade shows and teaching in the salon, while catering to a successful 5th Avenue clientele. In 1994 Julian was promoted to a full time education position at the world renowned academy in Los Angeles. He quickly became Creative Director and was an integral part of reinventing the geometric cutting system that so many hairdressers rely on today. During his time in Los Angeles Julian has had the opportunity to travel the world extensively, sharing his knowledge and experience with hairdressers from around the world, while teaching countless students in Los Angeles. Julian is now a part of the Angus Mitchell education team and is sharing his experience and knowledge with the John Paul Mitchell family. Julian has been a salon owner, stylist, educator, platform artist, creative director, and principal of hairdressing academies.